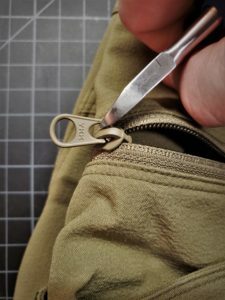 For a while afterward, I had done the same hack on some of my other pairs of pants I own. The only problem is a I could never get the right cordage. I purchased at least 10 different types of small cordage to no avail. I loved the hack so much I went back to the original owner to ask what kind of cordage he used. It had been 4 years since he passed those pants on, but I figured I give it a shot. Orpheus got back to me quickly and said he used Salomon’s Quicklace Kit and some heat shrink tubing from Napa Auto Parts. Never in a million years would have thought of the Salomon’s Quicklace. 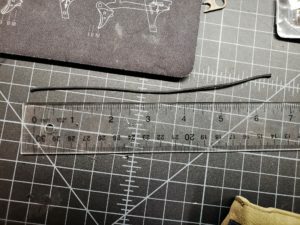 Here is the basic gist – Cut the Quicklace into 6 to 7 inch sections. 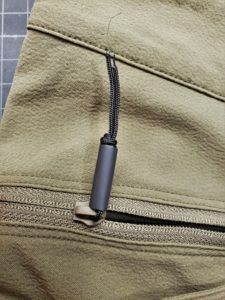 You need 5 sections for Combat Pants (two front zippered pockets, two back pockets, and the fly). 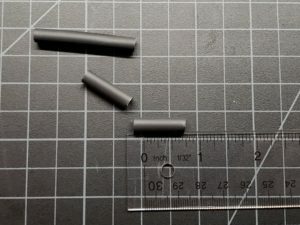 Next cut the 3/16″ tubing into 1.5″ sections (you can go longer or shorter if you want). 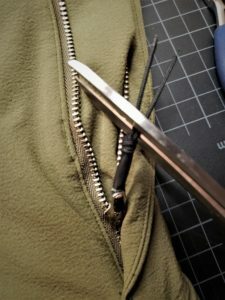 Next cut off all the YKK zipper pulls from the front zippered pockets and two back pockets (DO NOT CUT THE ZIPPER PULL OFF THE FLY ZIPPER) with wire cutters. 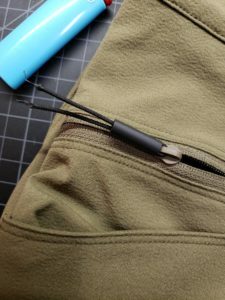 Next thread the Quicklace through the hole, where the zipper pull was, add tubing, tie off the Quicklace with an overhand loop knot, shrink the heat tubing with a lighter, cut the ends and melt them into the knot with a lighter. 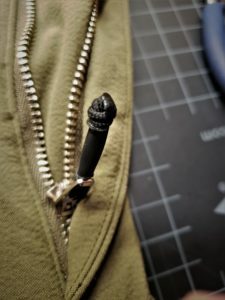 First is to cut up your Quicklace & 3/16″ tubing. 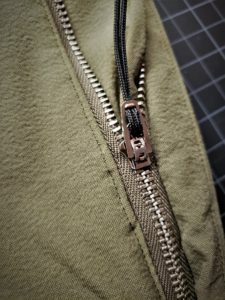 Next cut off the zipper pulls on your zippers. 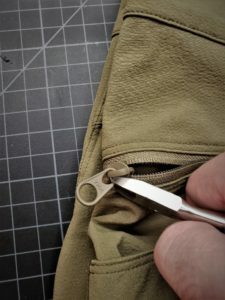 I have found it easier to cut both sides vs forcing it open with just one cut. 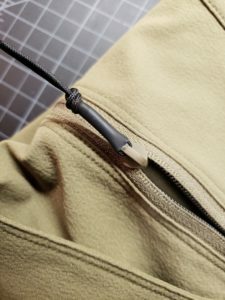 Tie off the Quicklace with a overhand loop knot (if you don’t know this knot you can learn it HERE). You want to work the knot a little to get it even. 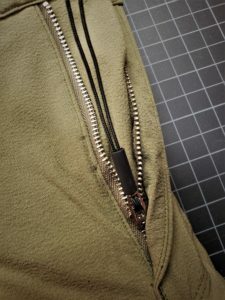 You also want to leave a little space at the bottom where the tubing meats the zipper so it can move around freely. 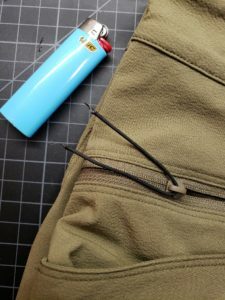 Next step is to cut off the excess Quicklace and melt it back into the knot like you would with paracord knot. 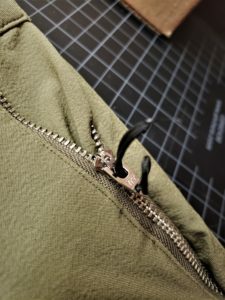 This one is actually a little harder than the other four as you have to thread the Quicklace through small holes on the zipper pull. 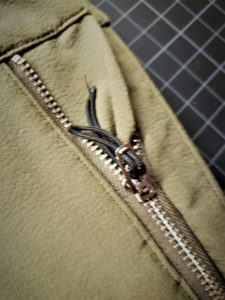 Holding the fly zipper pull thread both ends of the Quicklace though the top hole. Next thread it down into the hole below. 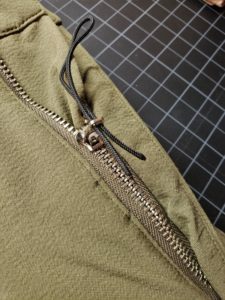 Now thread the two ends through the loop at the end and tighten down. Next add tubing, tie off the knot (same as above) and heat the tubing. 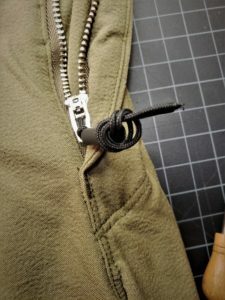 I know this seems like a weird hack but I can’t tell you how useful it is. Especially the one on the fly. 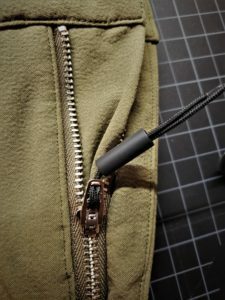 Its makes it so much easier to zip and unzip. 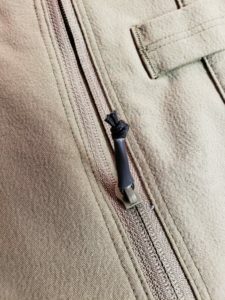 Specifically on the LEAF Combat Pants the top front zippered pockets, the zipper is kind of hidden and it can take a moment to find the zipper and open the pocket. 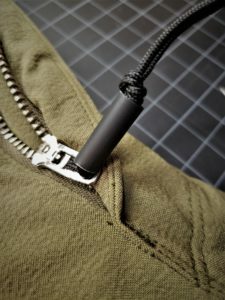 These lanyards make the job of opening and closing the pockets a piece of cake. 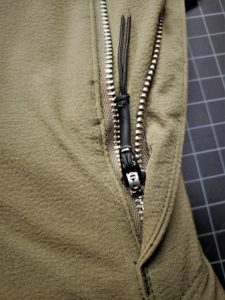 This hack also works awesome with zipper pulls on backpacks and range bags. If you attempt this and you mess up your pants I am in no way liable because your an idiot and you can’t follow simple directions. 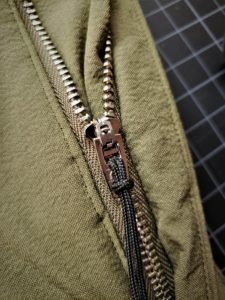 Feel free to drop questions in the comments if you dont understand something.